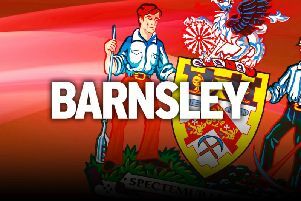 Out-of-favour Barnsley goalkeeper Nick Townsend has admitted he sees his future away from Oakwell. The 23-year-old feels harshly treated, playing just 18 games since joining the club in 2015 and playing second fiddle to Adam Davies for the majority of his time in South Yorkshire. Townsend played seven games in a row earlier this season, before being dropped for the Norwich draw. He was recalled for Millwall’s visit - but only because number one Davies was attending the birth of his daughter. And Townsend said: “Above all else I’m just frustrated with the situation really. I do feel like there have been a lot of times where I should have been played sooner than I have. “It’s been interesting since [new manager] José Morais come in, I’ll say that. “The lads have just got to stick together because we need to get results. He certainly gets his point across differently than other managers I’ve had. “I thought I was at a stage where I was in the team and I was going to get a good run. “I’ve been the number two for a while, but I’d had a good run of seven games in a row. Because of that I was a surprised to be dropped out against Norwich. “It was a bit of a weird one, I still don’t fully understand why I was dropped - you’re just told ‘you’re not playing’. Townsend’s contract is up at the end of the season and he is desperate for regular playing time. The player has had no indication as to whether or not he will be offered a new deal at Oakwell - and he insists he would turn it down if he was guaranteed regular game time somewhere else. Paul Heckingbottom gave Townsend assurances in the summer that he would play - whether at Barnsley or somewhere else - and Townsend added: “At the end of the day my contract’s up at the end of the season. “Nothing’s been said towards me about having a new deal. I will start looking at other clubs if necessary but nothing’s been said. “I’m a free agent come the summer so I’ll have to get looking for a new club. “I need to get out playing so if I’m guaranteed playing time somewhere else than I’ll go. “Another frustrating thing is that I came in in the summer and I was told I’d be getting games whether that was here or on loan. “I was told I’d be playing games even if that meant going out on loan for the season. “I feel like it’s all been against me and nothing’s fell for me in that regard. It is understood that Morais has already ruffled feathers in the Reds dressing room with his team selection. Wholesale changes from one game to another have left players confused about their place in the side, and long-term starters have been left out of matchday squads entirely. Skipper Andy Yiadom is one who has been rested after playing well and said: “I’m not going to sit here and lie and say I don’t mind getting rested. “Every player wants to play every game but at the end of the day it’s the manager’s decision and you have to respect that and move on. However, Morais has defended his selection policy: “I’m planning to continue rotating when I need to, but I’m also planning to rotate less when I feel that we can have stability with certain players on the pitch,” he said. “A player that performs well can still be rested if they’ve not recovered properly.